In the last article, we discussed the benefits that race training on the treadmill offers triathletes. This topic has been very well received by the fact that many triathletes, especially those who live and train in large cities, have chances of training venues reduced to gyms, doing much of the weekly workouts indoors. 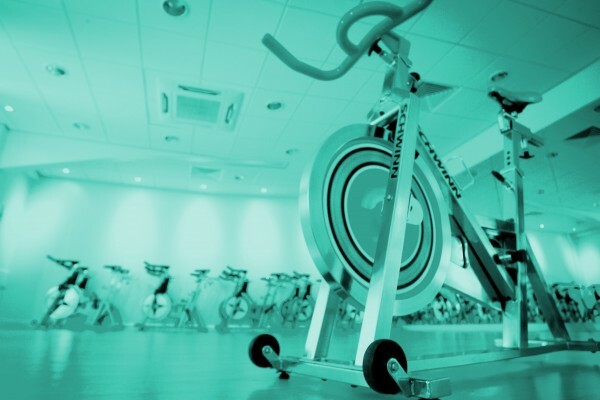 In this article, we will explore the possibilities and benefits of indoor cycling training, which is a reality for many because of the convenience, security and lack of easily accessible locations in major cities for cycling workouts. Spinning: I had the opportunity to ride with the inventor of Spinning, Johnny G. He was a professional cyclist who was looking for a way to practice indoors and not satisfied with the traditional stationary bike or roller training. Later he created his own indoor bike which was bought by Schwinn. 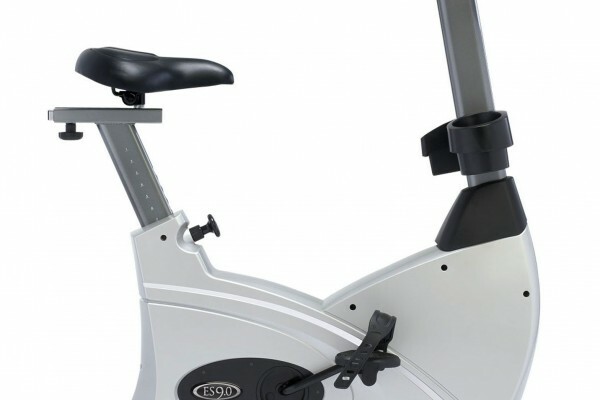 The spinning bike has the benefit of a smooth ride since it works through a fixed pinion. That is, as you accelerate and make more power, the bicycle resistance that accompanies acceleration and simulating what happens on the street. 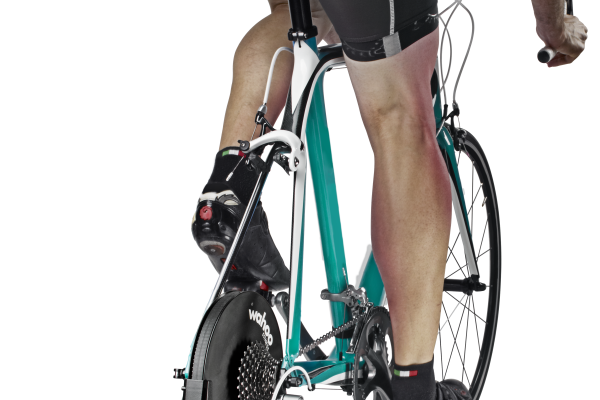 The athlete then has the option of putting more load increasing pressure on the bicycle resistance. The benefits of spinning is a possible bike setting in a very similar to its real bike geometry, and offers SPD pedals that allow the use of clipless pedals causing the pedal stroke to be almost identical to the street. Exercise: The traditional stationary bike carries a bad reputation among triathletes compared to other options, but it offers some unique benefits over others. The main thing is the possibility of reaching a very low pace because of high strength which is only possible in the most modern ergonomic combining a magnetic resistance and electronics. This enables an extremely low cadence even if the athlete is doing a sprint at maximum effort, which is one of our favorite workouts and mentioned at the end of the article. Various turbochargers do not allow such resistance, and some spinning wheels, because they are mechanical, make pedaling become more “square”. So in practice we call ‘big gear’ or heavy gear, an excellent choice in exercise. Another advantage is also greater availability compared to the spinning bike, especially in hotel gyms. Now you no longer have a valid reason to stay without pedaling on your next business trip. Turbo: The greatest benefit of the turbo is using your own bike for workouts. It is basically resistance on the rear wheel only, transforming your own bike for exercise. You will ride in a position identical to training on the street and competition, in the convenience of your home. Some brands also allow you to connect the turbo to a laptop or TV, and access the data from your workout. You can even sync the turbo to certain simulated paths on the laptop screen such as cycling the Hawaii Ironman route. The turbo increases the resistance on the route climbs and at the same time releases on the downhill. Roller: Allows the athlete to have a ride that is almost real. 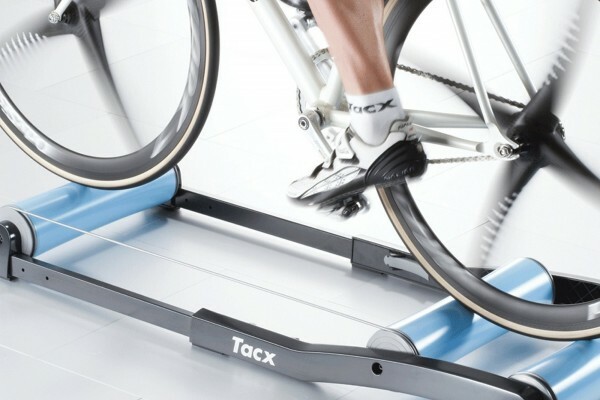 Can be compared to a treadmill, because both wheels are in motion and a unique feature compared to the other three possibilities to practice indoors, it is that it requires the athlete to balance on the bike in a range of 25 to 50 centimeters. This causes the concentration to be high, and also increases the possibility of an accident. Another specific negative for the roller is that it does not offer the possibility of increased resistance. 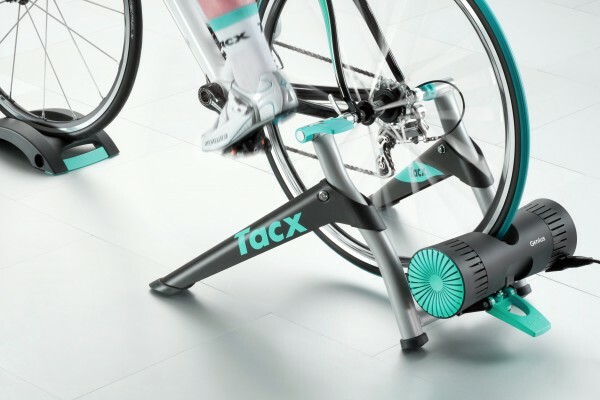 Personally, I do not choose the roller for quality training because it makes it difficult to frame reps and for intervals since at the end of each repetition, in extreme situation of fatigue, you need to focus on stopping the bike without falling. Unlike on the street, an indoor workout is completely uninterrupted; you do not stop pedaling for a moment unless it is part of training. You have no traffic lights, downhill, pedestrian crossing, stops for water. Training yields more and this makes it extremely challenging. It’s a great way to simulate completely flat courses and develop your endurance. Because it is a workout that requires little technical skill and is not too hard (except the roller), workouts indoors allow you to achieve a sense of effort and intensity that is not like on the street because you can literally close your eyes and focus on your maximum effort, without worrying about what’s ahead. The biggest plus of training indoors is the possibility of training within your own home or in a gym that is close to your work or convenient for you. Few athletes have the option of a safe place that is close to home for training during the week, so the indoor training allows you to have quality in a short time. In addition, it also provides you security in every way, away from cars, burglary, rain and even holes in the same street or other objects (or small animals!) That can cause falls and accidents. If security is at the top of your priority list, consider making virtually all your workouts indoors and just do some drills, more keys on the street in the last training block before your main event. Hundreds of small stabilizing muscles (referred to as core muscles) are recruited when you pedal on the street. Making a sharp turn, pedaling standing, with side wind, all shift the focus from stabilization of your trunk. When you train indoor you do not have that need or reflection of using the stabilizer muscles. This can result in problems on race day, because being small muscles, these tend to fatigue faster. On race day it may feel difficult to keep in a more aggressive position in the clip due to pain in the shoulders, neck or back, or just feel a general fatigue. The indoor training allows you to train at very high intensity due to security, you can literally close your eyes and focus on the effort and intensity of each shot. It is almost impossible to find a place in the street or road that will offer you that opportunity. As much as your legs and lungs “burn”, wind resistance and the street are not part of the equation, making the ride a little different. Overall, indoor cadence becomes a bit higher than on the street, also causing problems on race day. The indoor training can be adjusted to simulate uphill, just use a lower cadence and a greater intensity. Some athletes also like to raise the front of the bike (only possible in the turbo) to simulate some changes, especially in perception when dealing with climbs. But nothing will bring you the same benefits as the real climbs. 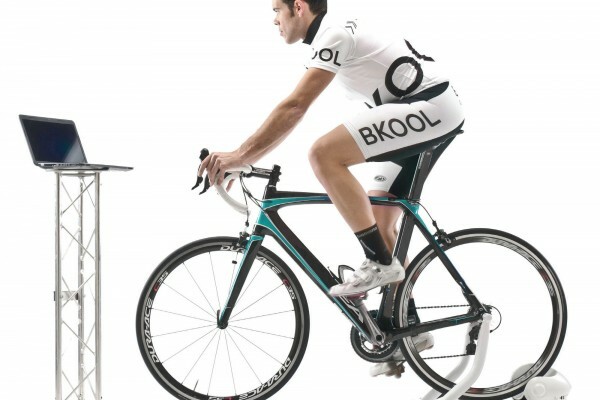 On the other hand, the indoor training will develop your endurance very well because you just cannot stop pedaling. Expect your performance on flat courses to increase, while on courses with ascents you encounter difficulties. Ride on the street, becoming a more technical rider, not necessarily a stronger rider, increasing ability on the bike as well as increasing ability to behave in situations of training and races. The more skillful you are, riding in a race will be less stressful, just as you possibly gain time on technical descents compared to the rider that makes the most of training indoors. Much of the above problems can be solved with a weekly pedal on the street or road, preferably on an undulating course or mountain climbing. As much as you like to train indoor, make an effort and go weekly to the street. Notes: Make every effort MAXIMUM, very heavy resistance! The cadence should be low (40-45 rpm per leg per minute), you will not go faster, because the resistance is too high! We will leave your legs “rubbery”! Treat every rep as if it were the only and last of the day, do not hold for the following reps, eg make the first 4 minutes as if the training was over then. It’s OK if your power falls towards the end of the workout. Distribute the training in two sessions, one in the morning the other in the evening, two drills at 1 hour duration will result in a greater intensity and greater motivation than 1 training for 2 hours.